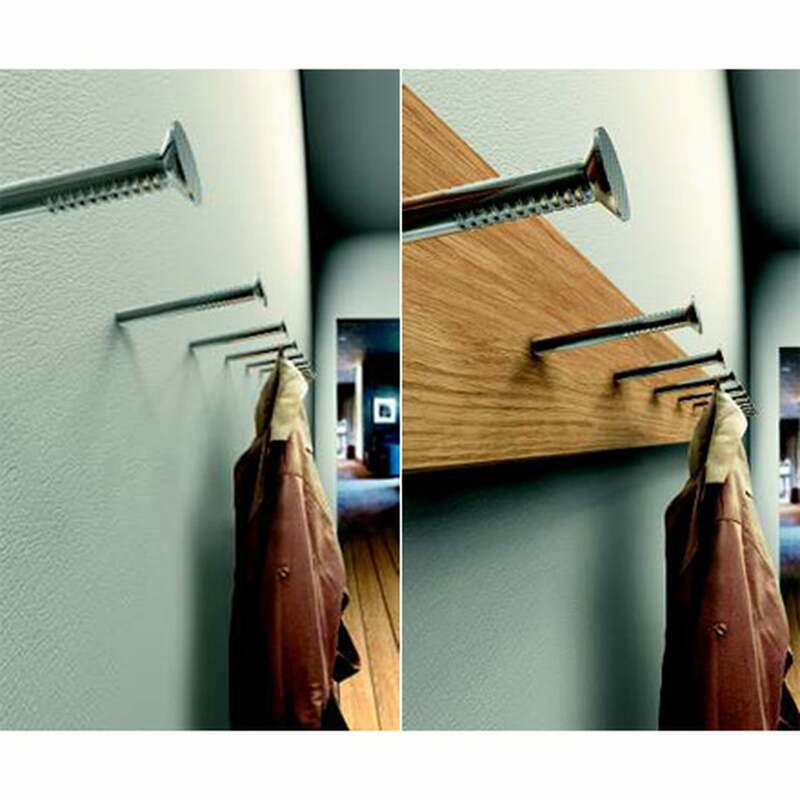 Kawenzmann is a simple coat hook from the designer Thomas Jelinek. 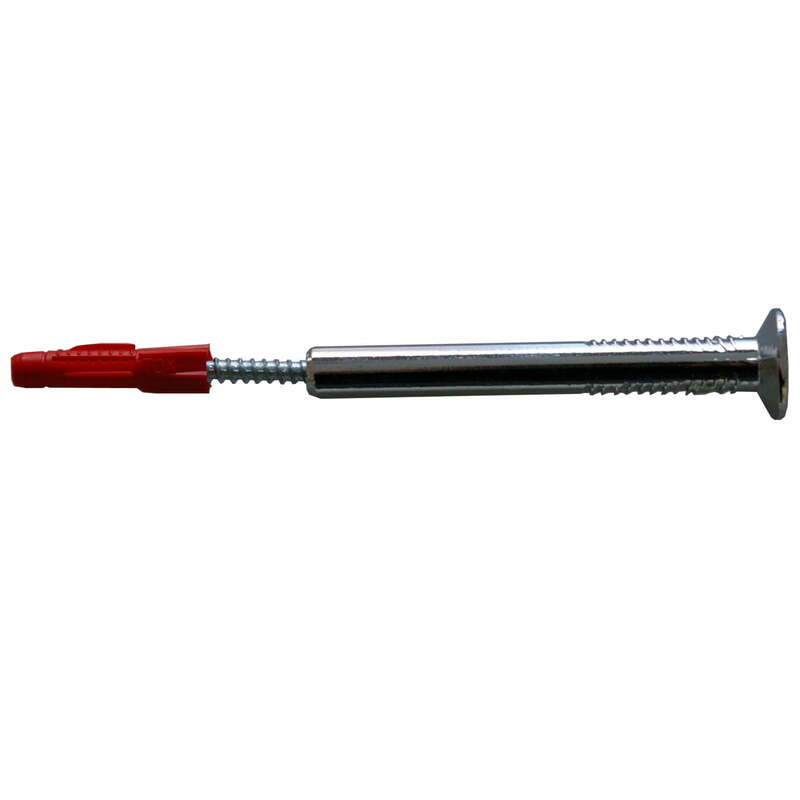 It plays on the look of an oversized pin. 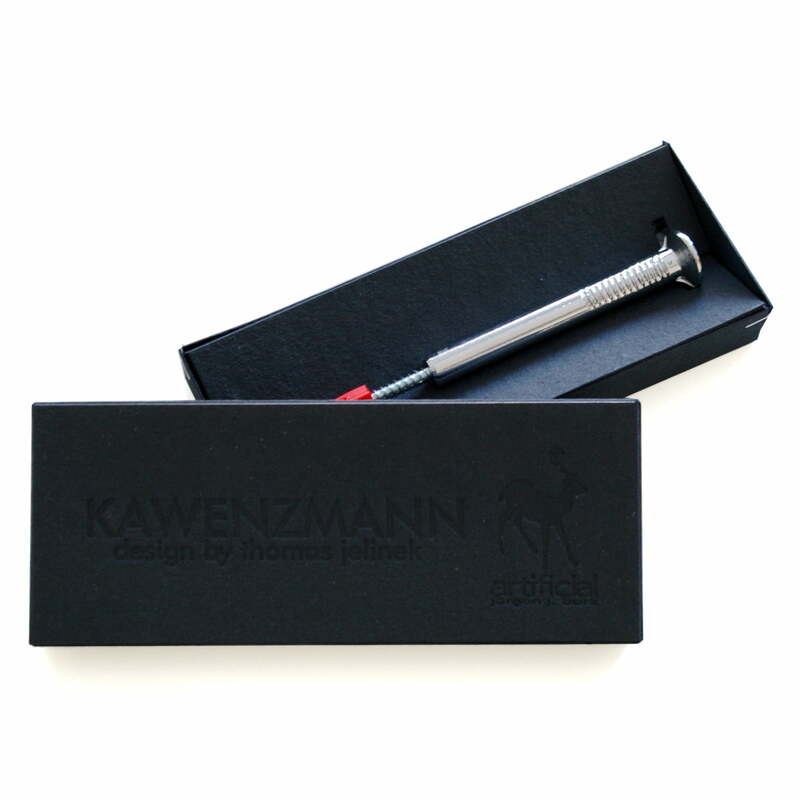 Don’t worry; you won’t have to drill oversized holes into your wall, because Kawenzmann can easily be attached to the wall with screws and anchors that are included with delivery. 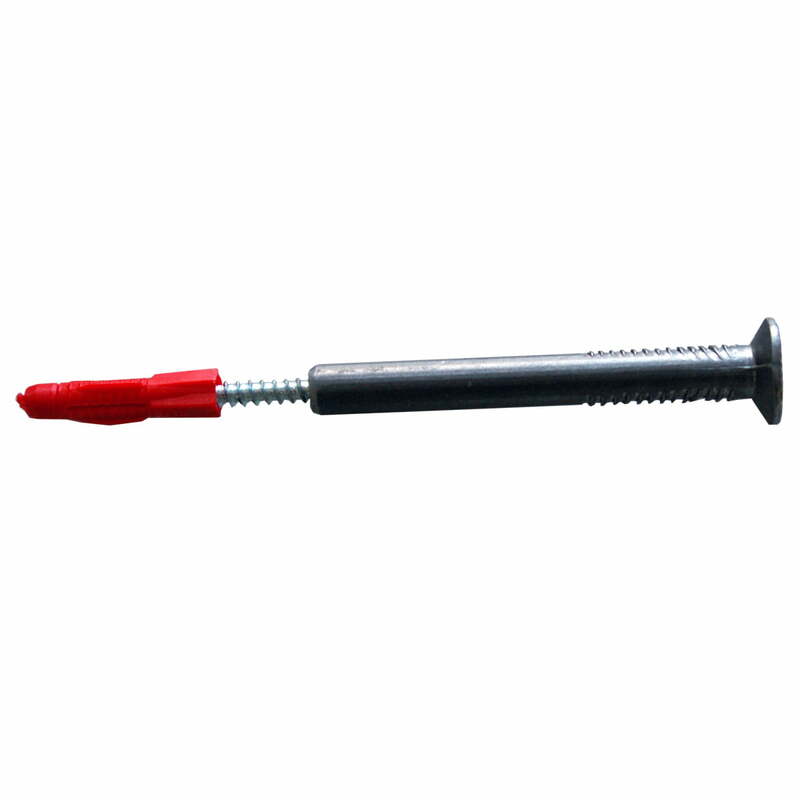 For optical illusion, a special attachment is included with a screw thread that isn’t seen after installation, but that conveys the impression that a giant nail is stabbing your wall. 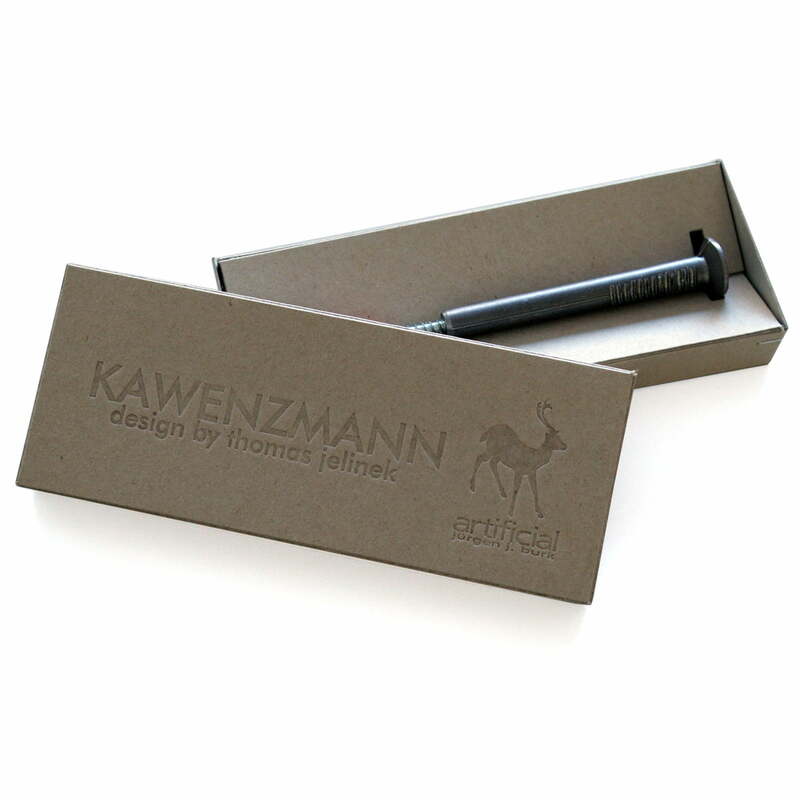 The Kawenzmann hooks are available as single hooks in natural and chrome colours. 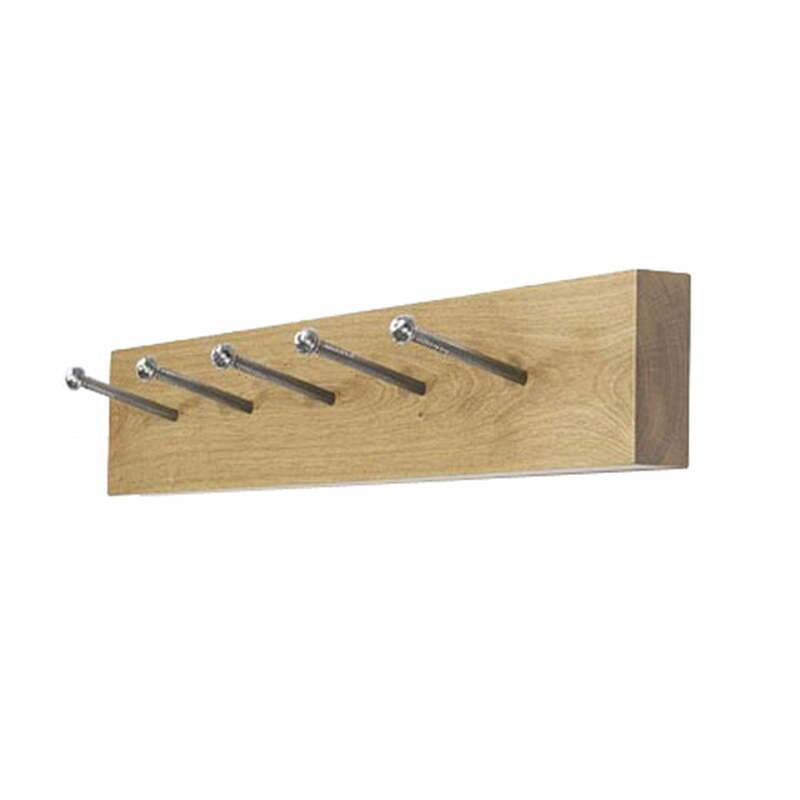 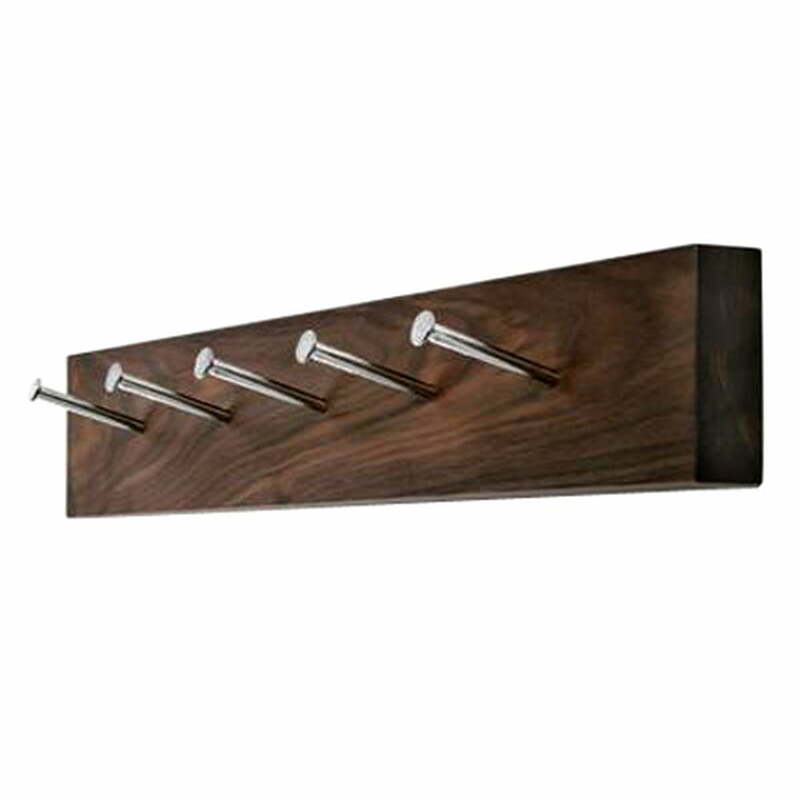 Furthermore there are whole Kawenzmann coat racks with three, five or seven hooks.